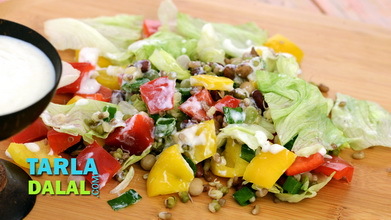 Simple, fuss-free and delicious: the best way to describe this salad. 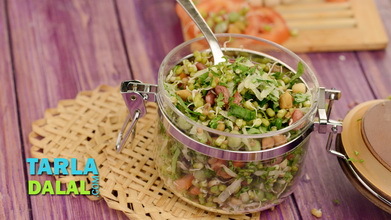 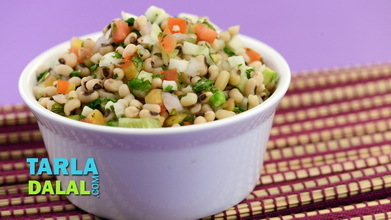 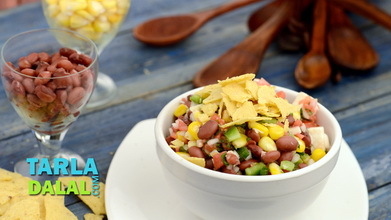 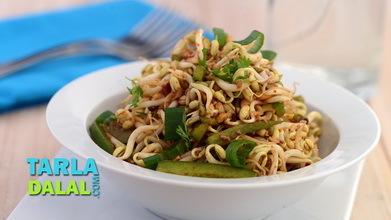 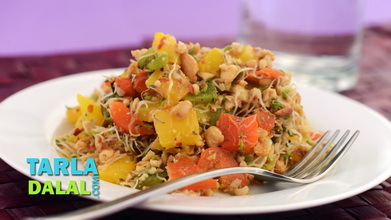 It is a crisp and tangy salad with basic Indian flavours from chaat masala, coriander and lemon juice. 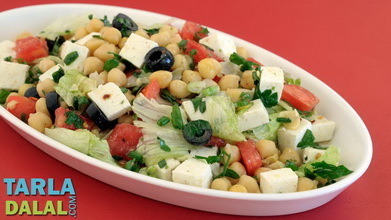 Serve this as a salad, or serve this as a snack if you are watching your weight. 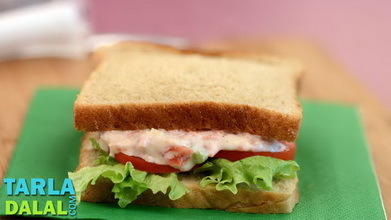 It is extremely filling and healthy. 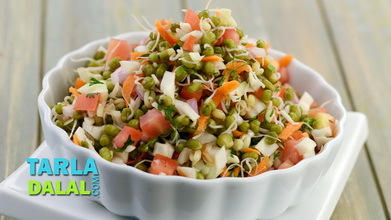 However ensure not to overcook the sprouts.